These items are also great if you have a friend who is a horse-lover and you need ideas of what to buy him or her. Also, my friend has a FANTASTIC blog for teenage girls and it is awesome. I definitely recommend you go check it out! Enjoy my Wish List and happy shopping! The one thing I absolutely LOVE about gift cards is that you can buy and choose the items that you personally want. Usually, I ask for gift cards to my favorite Horse Tack store so I can go buy new items for my horse such as halters, saddle pads, horse shampoo and conditioner and even equestrian wear for myself as well. Some of my favorite tack stores are places like Greenhawk, Schneider’s Online Store, and Aztec Diamond Equestrian. These stores basically have everything for horses and their owners. 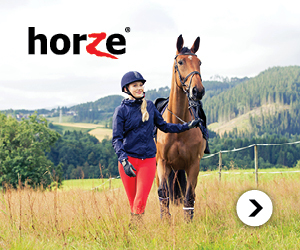 Aztec Diamond Equestrian is not a tack store, it supplies Equestrian wear. Their clothes are absolutely amazing and I highly recommend you to go check them out. If you are a part of horse competitions during the year, you probably know that Horse Shows have specific standards in your clothing and horse tack. Usually if I know that I am going to compete in the spring of the New Year, I usually ask for show clothing or tack. For example, you could ask for show pants/shirts, a new saddle pad, bridles, etc. Also, I suggest creating a show checklist to make sure you have everything on your list before you decide on joining a show in the New Year. It is definitely better to be prepared! If you own a horse, you probably know by now that horses are expensive. I once saw a quote on Social Media that said, “How to become a Millionaire riding horses?… Start off as a billionaire.” That quote is so true because horses literally drain the money out of your account. Horses not only need a saddle, saddle pads, and a bridle, but they also need care items. What I mean by care items is kind of like hygiene items such as shampoo, conditioner, brushes for grooming, bug repellent, and there are so much more. I like asking for these things for Christmas because they are not as expensive as horse tack but they are essentials needed to own a horse. give her too many treats so I have to make sure the treats don’t have too much sugar (haha). Anyways, I hope this gave you ideas for the horsey-lover in your family (maybe you)! Let me know in the comments below what you are asking for Christmas this year. Thanks for reading! Merry Christmas!